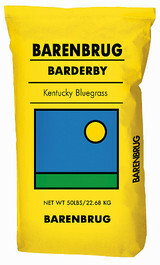 Kentucky bluegrass is one of the most common species in natural pastures of temperate climates. It is highly palatable, except at the advanced-maturity stage. It spreads with rhizomes to form a sod and thus is very persistent under heavy grazing. This feature makes Kentucky bluegrass highly suitable for horse pastures. 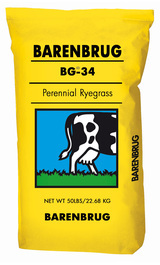 Barderby is Barenbrug’s first Kentucky bluegrass forage variety. It produces high dry matter yields and is very persistent in grazing trials. It also exhibits excellent winter-hardiness. 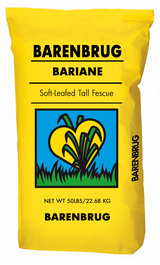 Barderby has fine leaves and small stature, but in frequent cutting trials it out-produces the broad leaf, taller varieties.